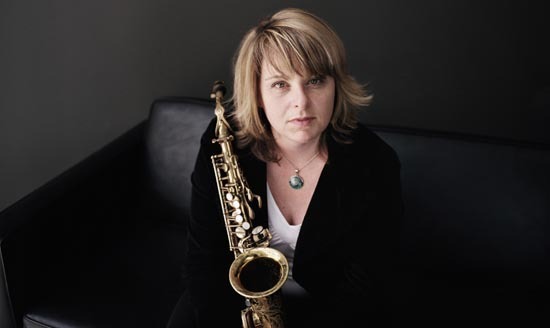 Montreal-based saxophonist and composer Christine Jensen has been described as, “an original voice on the international jazz scene… [and] one of Canada’s most compelling composers,” by the Globe and Mail. “Jensen writes in three dimensions, with a quiet kind of authority that makes the many elements cohere. Wayne Shorter, Maria Schneider and Kenny Wheeler come to mind.”-Down Beat Magazine.